Riddle: What’s the difference between a tree and a business? 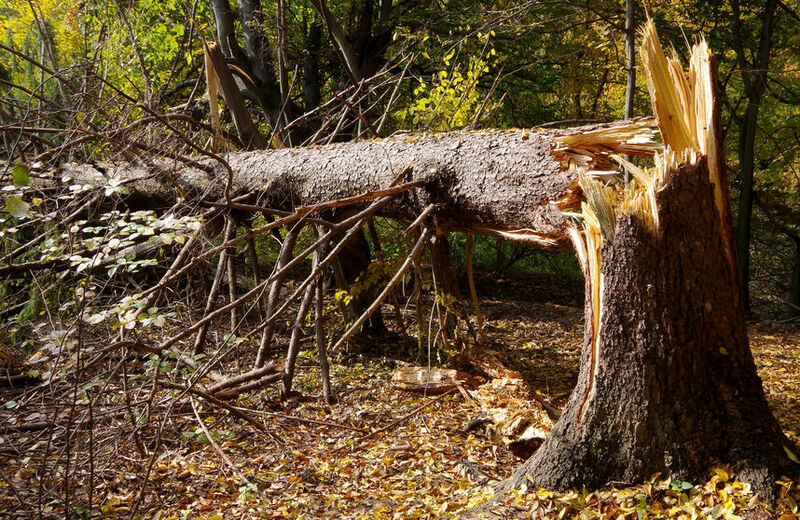 Answer: If a tree falls in the woods, and no one is around to hear it, it still falls. But if a business has a solution to solve a problem, and no one is around to know about it, the business didn’t really solve the problem. If you – as a business owner and entrepreneur – have a unique solution to solve people’s problem but can’t find a way to let people know you exist – and get them to care about solving that problem in the first place – you simply won’t be around very long. The answer to THIS riddle, of course, is “marketing”. Still struggling to create your first winning sales funnel? Watch this FREE 4-part video masterclass that walks you through creating your very own automated sales funnel! Marketing is how you get the word out. It’s how you let a target group of people know you can solve their specific problem and make their lives better. Marketing is also how you develop a relationship with your customers and prospects, so you aren’t like that invisible business, silently falling, unnoticed. Most marketing plans address what is commonly known as “the four Ps”: product, price, place, and promotion. In a moment I will recommend a fifth P. But let’s first make sure we are on the same page with these four Ps. Of course, your product – or service – won’t sell unless it is targeted to a specific section of the market and specific problem that that group of people needs to solve. Your product could be a computer application to help people manage their time, or it could be coaching services to help people manage their finances. In either case, you need to clearly identify such things as gender, income, age, desired outcome, and as much as you can about your typical customer. Only once you know your audience inside and out, and what they need – and, by the way, entertainment can also be a perceived need – can you offer a product or service that will grab their attention. Many entrepreneurs struggle with finding just the right price for their products and services. Surprisingly, sometimes offering a product at a higher price actually brings more sales! One way to arrive at a good price for your product or service is to work backwards. Start by figuring out your goals for how much you want to make each month from that product. Then figure out how many you think you can likely sell, and how many leads you need in order to get that number of sales. That will help you set your price. For instance, let’s say your monthly income goal is $5000. You feel pretty confident that if you get 20 leads a month, you can convert a minimum of 5 of them. That means your service or product would need to be priced at $1000. If that price feels really uncomfortable for your offer, then you will need to figure out how to get more leads. If it feels too low, then you won’t have any trouble meeting your goal! And don’t be afraid to try out several price points. Your market will let you know if you are asking too much or too little. Adjust accordingly. Then scale up to get more leads. Where is the best place to let people know about your product or service? If you really know your target market well, you know where they hang out; you should be hanging out there too. For example, if you offer fitness coaching, then a gaming group – either live or online – may not be the best place to spend your time. If you don’t know where the average person in your market hangs out, then you need to do more research. And don’t just make offers once you get to the right place. Regularly share useful tips and helpful ideas – with NO product offer. It won’t take long before people in that location start to view you as an expert on the topic. When you finally do make an offer, if you have Positioned yourself well over time (that’s another “P”! ), they will be begging you to help them solve their problems! There is no one “right” way to promote. You need to know where your average customer hangs out so you know where and how to promote your product or service. And make sure you start with the strategy – your objective; what you want to accomplish with your promotion – before you take a look at the tactics – the different means of accomplishing that objective. There are many ways to accomplish the same goal; figure out what works and then stick with it! A fifth “P” that you want to include in your marketing is the Personal aspect of your story. Even big companies have stories. Just look at the catalog for LL Bean which tells the story of Leon Leonwood Bean, way back to 1911. Old LL returned from a hunting trip with cold wet feet, which gave him the idea to create a more effective outdoor boot. And the rest is history. Or the story of Colonel Harland Sanders, born in 1890, who began selling fried chicken from his roadside restaurant in Corbin, Kentucky during the Great Depression. Now that history – and his image – is a big part of the story behind Kentucky Fried Chicken. If big companies like that can tell personal stories in their marketing, so can you. Take advantage of every opportunity to tell stories so you, as a small business person, can develop a relationship with your customers and prospects. Share your stories – and your successful customers’ stories – in your blog articles, on your podcasts, in your videos, and whenever you get a chance to speak. Include each of these avenues as part of your marketing funnel. Not only will your customers and prospects love you more for it – because you seem more like them – but it will both help more people, and be more lucrative for you. So don’t be afraid to get a little personal in your marketing. When people can relate to you personally, your business is much less likely to fall, unnoticed.